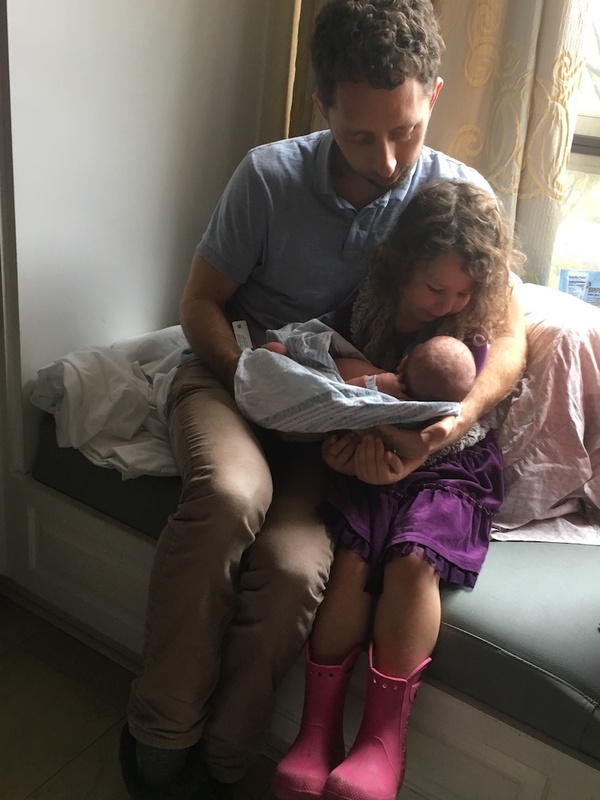 When I gave birth to David, my water had broken a few hours earlier, and we walked into L&D full of nervous energy and an occasional contraction. We handed the nurse my detailed birth plan that we had written months in advance, edited and polished, gotten approved by my OB, notarized, and chiseled into stone just in case. We waited as she read every detail, then asked if she had questions. When I gave birth to Anna I walked into the room and figured they must know me by now. I changed into my very, very fancy hospital gown, answered intake questions, and briefed them on my labor with Thomas — that it went from zero to baby very, very fast. We also told them that I wanted a low intervention delivery, and that’s all we had to say. 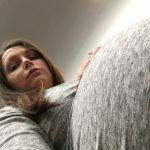 Birth plans are awesome, and if I had to do it all over again I’d still write one, but in retrospect, I think maybe they’re more for the mom than the health care providers. The nurse did mention something about a saline lock, a suggestion Tom quickly shut down. No, we do not want a saline lock. The nurse looked confused, because I think saline locks are standard procedure — placing an IV incase something happens and you need medicine quickly. Something came over me and I was oddly ambivalent about the saline lock. The nurse wasn’t even pushing it, she just wanted to make sure I understood what the saline lock was, and that I’d have to have an injection of Pitocin after the delivery to help control uterine bleeding. And, weirdly, I acquiesced. And it was no big deal. The nurse said she’d tell the doctor, and that was that. Once I was checked in Tom relaxed. In fact, he relaxed so much that he started streaming a Virginia Tech basketball game on his phone. I wouldn’t tell you that, that Tom was watching a game while I was BRINGING HIS FOURTH CHILD INTO THE WORLD, except that everyone already knows Tom is a devoted husband and father. Also, he asked me for permission, and I said YES! You sure can! See how reasonable and not about to give birth I am!? With Tom happily watching the game, the nurse checked my progress. I was a six. Maybe that sounds acceptable to you. It’s legit progress and I wasn’t in hard labor; I was still in “not irritated by my husband watching a basketball game” labor. But for some reason I had it in my head that I was an eight. And the truth is, when you’re wondering how dilated you are there is only one answer. TEN. She also said that my bag was “bulging,” so much that she couldn’t perform a complete exam. It was a visual I didn’t need, but I’m happy to give to you, dear reader. You’re welcome. Yet I still had the urge to ask, “I’m in labor, right? You’re not going to send me home?” Because I still didn’t completely believe it. What is that? Since I wrote part one, several women have told me they were also in denial about labor even when they were so, so obviously in labor. 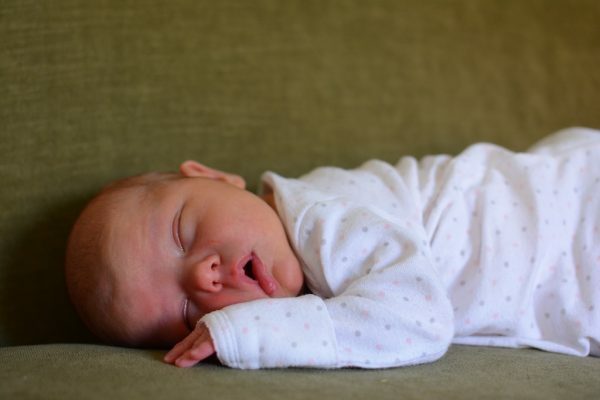 Part of my denial was that I hadn’t reached my due date, and I had been SURE she would be late. But the other part? The denial that so many of my friends can relate to? Where does that come from? Let’s digress and talk about the timeline for a second, because everyone asks me how long my labor was. 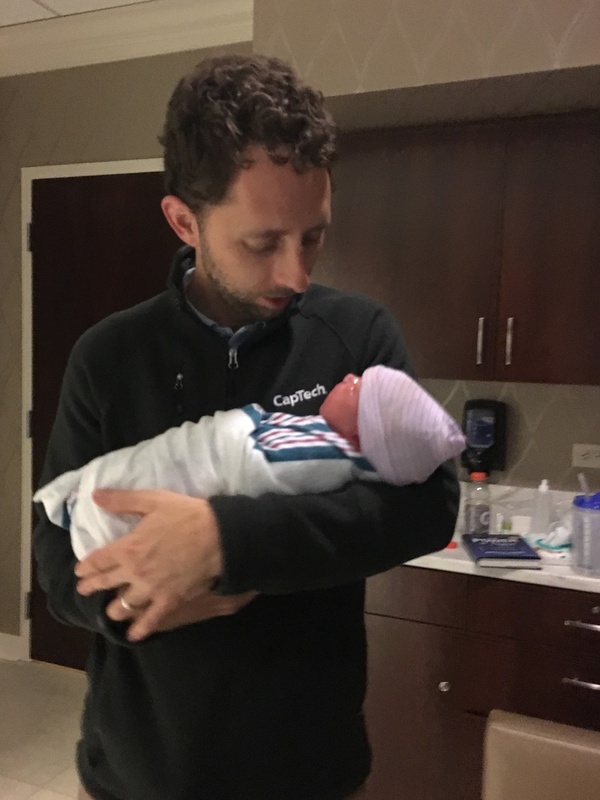 Whelp, I had my first contraction around 1 a.m. the night before, that continued in prodromal style through the entire next day, that picked up around 3 p.m., became regular around 6 p.m. We left for the hospital around 6:45, and were likely admitted around 7:15. When did labor start? I have no idea. It was either fast or will go down as my longest labor. Oh, thank you, experienced labor and delivery professional, who has seen hundreds of women Lamaze through contractions. 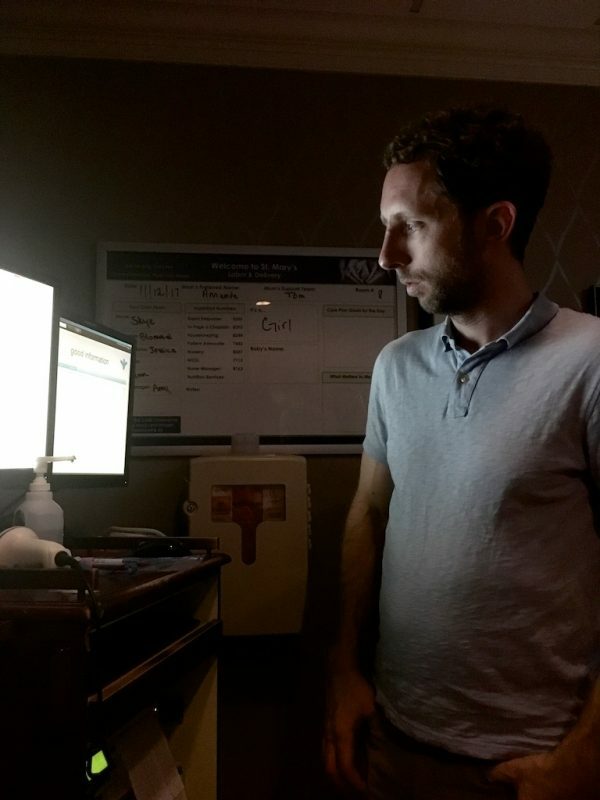 I took her compliment very, very seriously, and for the rest of my labor I was focused on maintaining my reputation as The Most Perfect Lamaze-r, available for autographs in about an hour or so. As contractions picked up (and I continued to Lamaze like an actual professional), I realized I had certain expectations for this labor. I figured it would be fast, but I also expected that it’d hit me out of no where; I wouldn’t have time to really experience all that blinding pain and discomfort, and after a few contractions I’d sneeze and give a good push and then BAM! Baby! Now that my contractions were intensifying to “actually, maybe I am annoyed by the basketball game,” and since I knew I was a six, I calculated progress at the rate of one centimeter an hour, I could be at this for a while. That wasn’t what I expected. Expectations are everything. I learned that the hard way when I tried on my pre-pregnancy jeans ONE WEEK after giving birth to David. Seeing my expectations fade into a long, slow labor, I started complaining to Tom about how labor was terrible and I hated it and I never wanted to do it again. Then a contraction would hit and I would immediately start Lamaze breathing with the focus of Mary Lou Retton, about to perform the final vault of her career. 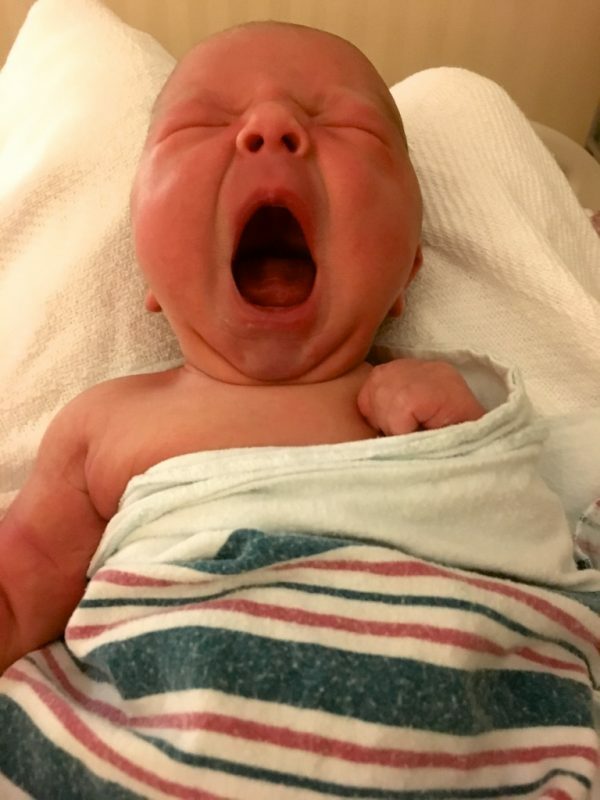 My nurse (who was WONDERFUL) must have heard me complaining and moaning about my terrible long labor (go ahead, roll your eyes. Especially if you’ve had one of those epic, 36-hour labors. I hadn’t even been in the hospital for an hour and was considering getting my mail forwarded to my hospital bed). She gave me a few suggestions to get things moving. She told me that if I wanted, they could break my water, and things would progress quickly. But if I wasn’t ready for that, walking around or using the birthing ball would work, too. Here’s ANOTHER instance of me not behaving logically. I wanted labor to progress. I was ready for labor to be over, but I didn’t want to be the one to pull the trigger. I knew the intensity of delivery was coming, and I didn’t want to be the instigator. That felt scary to me. No, no thank you. I’ll just stay here in bed, impressing everyone with my Lamaze skillz. 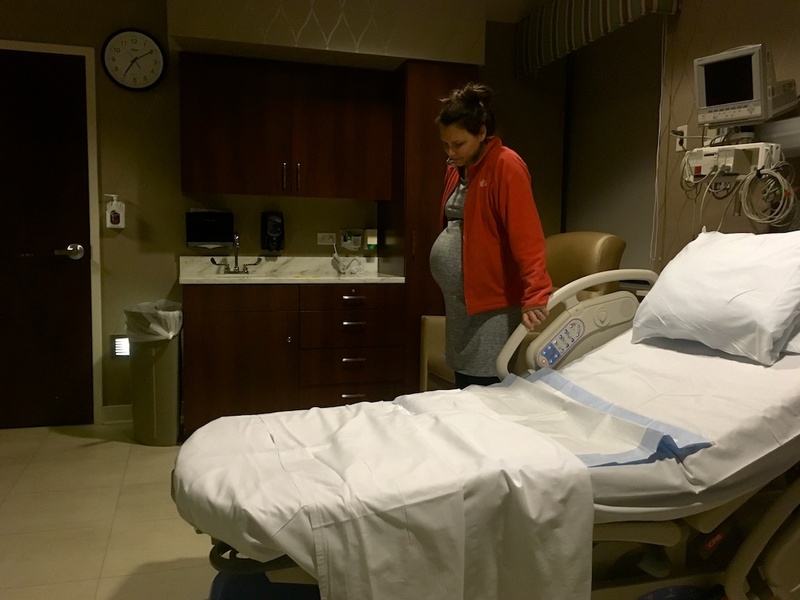 The contractions kept rolling in, one after another, and despite my GOLD MEDAL Lamazing, the nurse could tell I was getting more uncomfortable and, once again, suggested I maybe try another position. FINE. I’ll try the birthing ball. They brought the ball in and my nurse told me to get her IMMEDIATELY if I felt pressure, or if my water broke. Because either of those things meant, um, show time. And she’d gathered from Tom that he didn’t want to be alone with me at that particular moment. I had a really, really hard time getting comfortable one the birthing ball. I labored with Mary Virginia on the birthing ball, but I couldn’t quite replicate that experience. I stood above the birthing ball, never really sitting on it. We can all agree that that renders the ball unnecessary, yes? 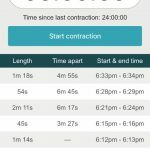 I had a few contractions, followed by a few more, followed by MY WATER BROKE! MY WATER JUST BROKE! As soon as my water broke I felt panic. I screamed MY WATER BROKE! at the nurse, who was right next to me and already aware of the breaking news. With my water came unbelievable pressure, which I associated with the need to push. I’m not sure if Anna was crowning or if I was even having a contraction, but I had decided I was going to have the baby RIGHT THEN. I started bearing down and pushing and my nurse started telling me to stop! Get in the bed! I ignored her and kept pushing, but she kept urging me to get in bed, and we had this weird conversation of me grunting and hollering and her sweetly urging me into the bed. Eventually I shouted, “I’M NOT GETTING IN THE BED!” Because getting into bed sounded like an impossible feat, an insurmountable physical challenge, even though the bed was right in front of me. I could perhaps perform a triple salchow in a sparkly body suit? How does that sound? But the bed? Out of the question. In hindsight I wish I’d screamed something different. Not because it was the first thing my daughter heard as she came into the world, but because couldn’t I have come up with something more colorful? Something more…specific? The wild pressure, the blinding pain — first the head and then the shoulders, and Anna was born. 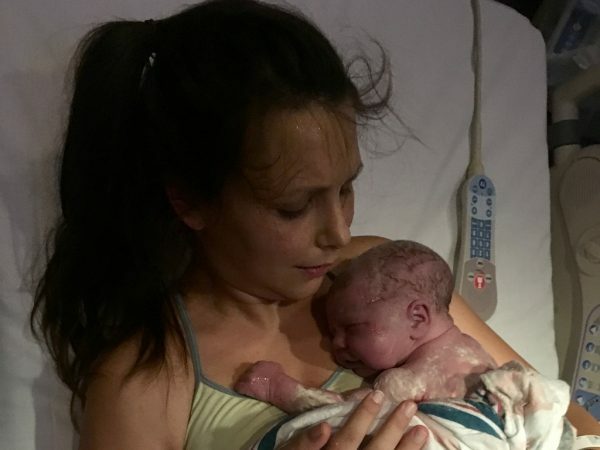 She had a single nuchal, and her umbilical cord was tied in a true knot. The doctor asked Tom if he wanted to cut the cord and Tom said no. He was a little stunned from the rapid turn of events. Plus, he was holding his phone to watch basketball, he couldn’t spare a hand to cut the cord. JKJKJK! I finally settled in bed, and they handed me my daughter. And then we fell in love. The doctor was right. Completely perfect. I held Anna while the doctor did repairs, something I wouldn’t mention except that I’ve never needed repairs, so I didn’t know what I was in for. As a woman who has had four unmedicated births, I am here to tell you that that part might be worse than childbirth. But it was really painful, so painful that not even Anna’s sweet face could distract me from the discomfort. I’ve read a hundred birth stories, and talked to as many women about their labors, and NO ONE prepared me. So this is my PSA to any women planning to have an unmedicated labor. 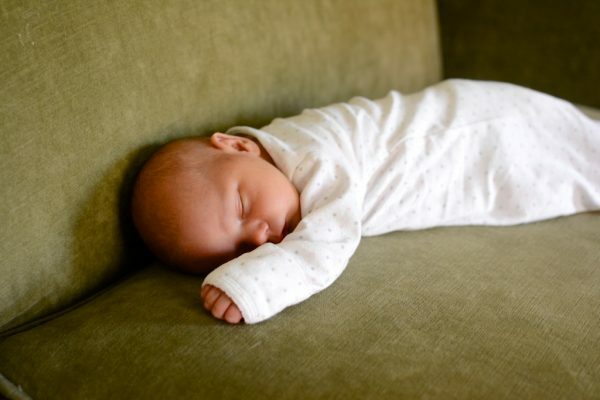 Ask for an epidural after the baby is born. Trust me. Anna Leigh Krieger, born four days early, on November 12, 2017. 8 pounds, 5 ounces, 20 inches. Anna was born four minutes later. Was it a fast labor? Or a slow labor? All I know is, it was a labor I never expected. I expected rushing, worrying, stress; a close call. When we found out I was pregnant, Tom and I were processing the news of a surprise pregnancy together and Tom reminded me that this was a surprise for us, but it wasn’t for God. That God is sovereign over our family and he had ordained this child’s birth. I’ll never forget him say that, because the truth is so reassuring. We will be fine. God is caring for us. Then for nine months I worried about her arrival. Sure, I believe that God is providing for us, but what about this? Has he thought about this? God provided abundantly. 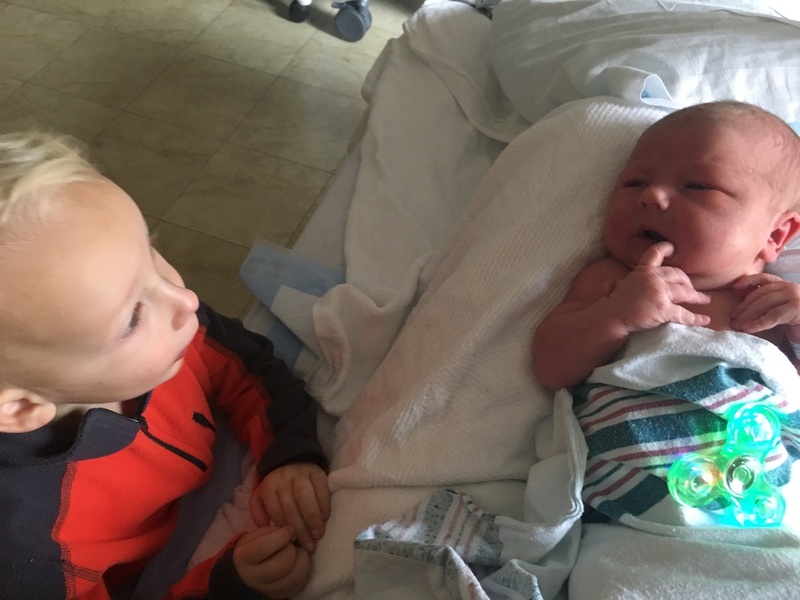 He answered my prayers about labor and delivery, and he protected Anna from potentially catastrophic complications with her umbilical cord — a risk I wasn’t even aware of, but God knew. Anna is sleeping beside me. She has a hard time sleeping if she isn’t being held — curled up on my chest, nestled in her daddy’s arms. Every time I look at her I’m overwhelmed with love and gratitude. Just look at this baby girl! God is so good. Thomas shared his fidget spinner. A peace offering! Love this! So happy for you. And those last few lines brought tears to my eyes. What Ana amazing gift! Well of course I tested up. Also have worry about birth for #4 (shouldn’t I be a pro at this?) so this was encouraging! Did bringing a baby home to your second home make it seem more like your home? I remembered you wanted to have Thomas’s birthday party before you moved. You are so blessed. Congratulations. I ran across your blog one day, while searching for something else, and I signed up for your blog. It always brightens my day. Yes! you have such a great memory! 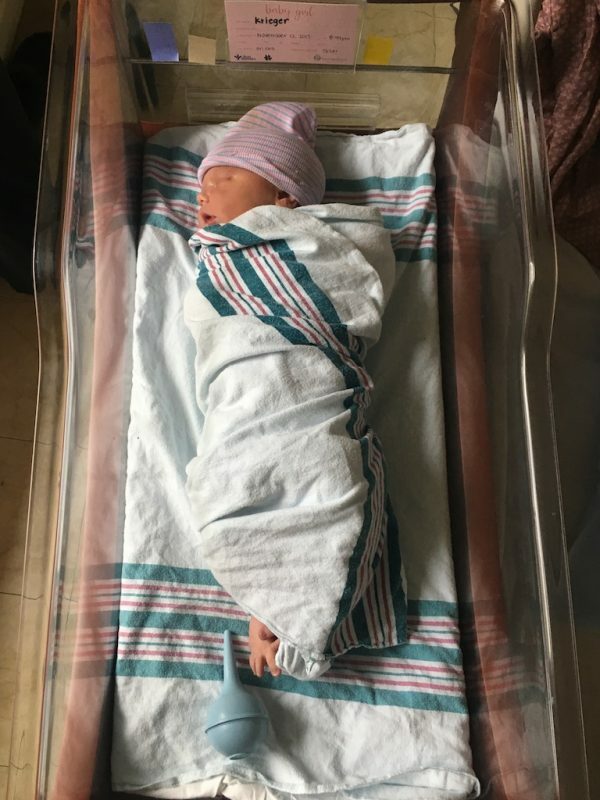 it does make the home feel more like OURS, and also we feel like we’re fumbling in new ways as we figure out new systems and routines in this space that include a newborn. I’m glad you found me and stuck around! What a wonderful compliment to have you reading along! This has to be one of the most entertaining birth stories! What a wild ride. And you make such a good point about expectations in birth. Especially after having fast previous labors, having a slow one is a terrifying idea! I’m glad your little girl came quickly just in time. 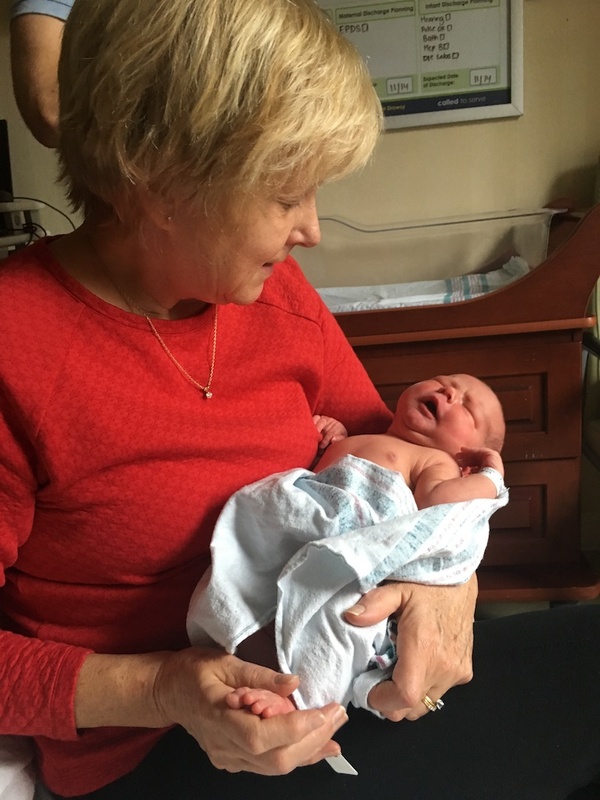 She is a beauty – God is good! Congratulations! Thank you for linking up with Mommy Moments last week, this was the top viewed link and will be featured in the link up today! I just found your blog today through bowerpower Instagram. 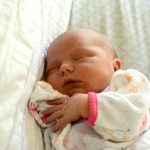 I loved the birth story! 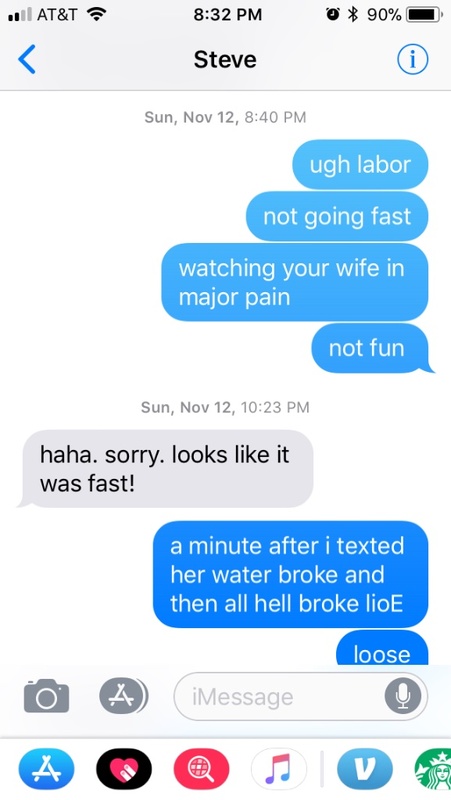 I just went through the 4th labor and the part about not wanting them to break the water because then it gets worse was me too! hey! i’m glad you found me! 🙂 and i’m glad i’m not the only one dreading the water breaking. it seems silly, ya know? you want it to get over with but you also don’t… WHEW, labor is crazy! 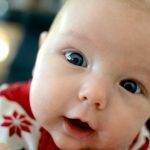 I am so thankful for you sharing your birth story. I googled “how to prepare for a precipitous labor” and yours was the first link to pop up! I too am having my 4th child, a surprise blessing! 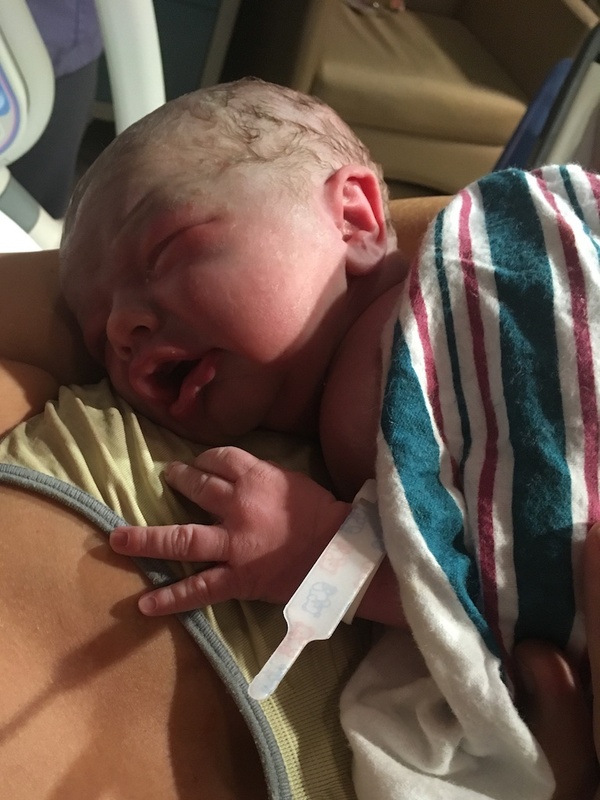 My previous labor was a 2 hour (planned) homebirth and my daughter had a true knot in her cord (thankfully no complications). 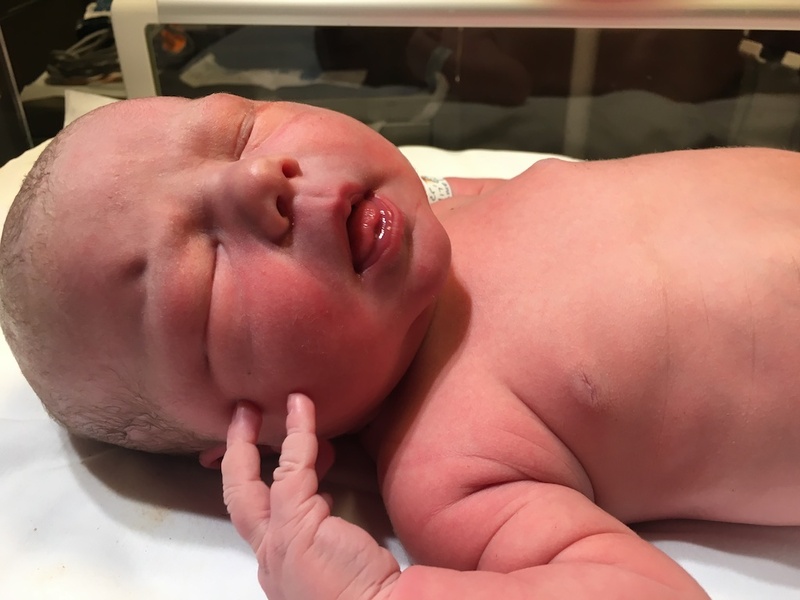 I have had a cesarean (due to Dr’s failure-to-wait), an unmedicated hospital vbac and a homebirth. I preferred my hosp vbac (maybe b/c it was a tolerable 5 hours, not an insane 2! 😉 ), so we’ve planned for another hospital birth. 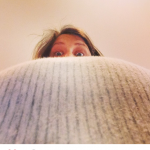 …But this whole pregnancy I have had anxiety about the delivery. All the “what ifs”. My OB is across town (she’s the most vbac friendly Dr & works with midwives in the hospital), so I worry we wont make it in time. I worry about what to do with my other kids. I worry about the dangers of another true knot. I worry about PTSD b/c of my unnecessary cesarean and then also my precipitous labor. 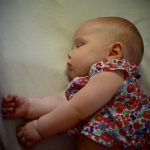 I worry about feeling totally and completely unprepared and out of control, like I did with my homebirth. So, I just want to thank you. You’ve helped me to remember, God DOES provide. I don’t need to worry. Easier said than done, but what good is worrying doing? I will continue to prepare for a precipitous labor, but I will also keep in mind: things may not go the way I expect, but everything will work out the way God has planned. God DOES provide! I was just chatting with a friend about how anxious I was leading up to my daughter’s birth (she’ll be 1 next month!) and how I never worried with my first baby. Like you, I spent a LOT of time googling before she was born. 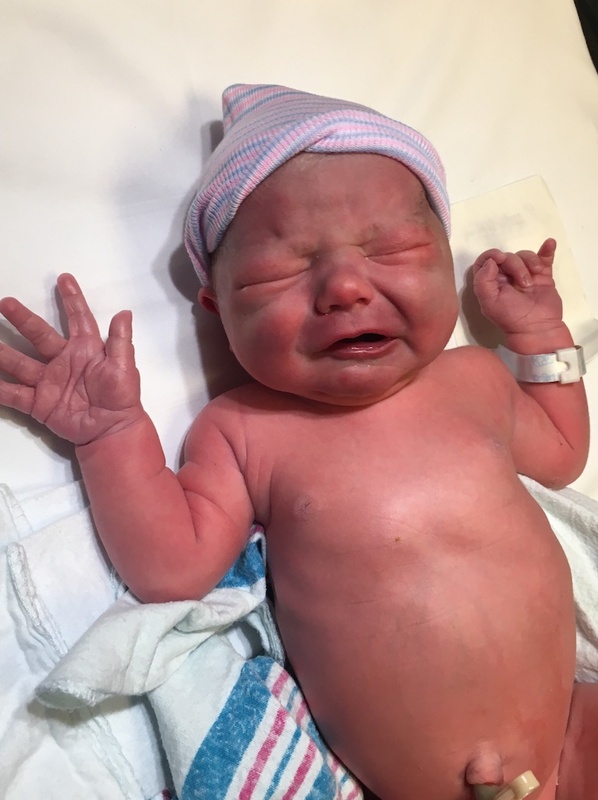 I read a lot of insane precipitous birth stories that somehow made me feel in control. I still think the psyche of a pregnant woman is so complicated, because what you go through is in a way traumatic. I don’t know, I could talk about this forever. But when I do look back on it I am overwhelmed by how all of the things I worried about came together. Like the last commenter, I also googled preparing for precipitous labor. I sit here at 38+4 feeling like labor will come on at any moment while being wildly unprepared. After a 4 1/2 hour and 2 hour 15 min labor, I have cause to be concerned, but your story is exactly what I needed to read today. Thank you for reminding me of God’s sovereignty and timing while also giving me some entertainment (that I both sobbed and laughed through) this afternoon. I’m so glad it was encouraging to you! And like the last commenter, please come back and tell me how your labor goes! She turned one yesterday and I STILL often reflect on God’s goodness to us and think about how much time I spent worrying about her arrival. Labor is so unpredictable, but one thing is for sure — God has a plan for you and your baby. Take great confidence in that! She was born this morning! Labor ended up being more typical with slow progression, but once my water broke and she decided to stay in the right position it only took 2 hours and one pushing contraction to get her out. Her name is Joanna, meaning “God is gracious.” And he truly has been gracious even though this pregnancy and labor were so much harder than I expected! CONGRATULATIONS!!! I’m so glad to hear that Joanna is here (you’re not pregnant anymore! woo-hoo! isn’t that the best feeling!?) and that she arrived without FEAR. I also had the saline lock for the first time and was surprised at how heavy it was.